Those Westerners who believe that the ongoing turmoil in Egypt and Tunisia may lead to a flowering of "democracy" in the Arab world are in for bitter disappointment. For years European and American Trotskyists and communists have been working with Egyptian leftists and the Muslim Brotherhood to oust pro US dictator Hosni Mubarak. If the Egyptian revolution succeeds Egypt will turn both further to the left and to radical Islam. This will have huge implications for the security of Israel , regional stability (if you can even use such a word in the Middle East) and the security of the Suez Canal and Western oil supply and trade lines. 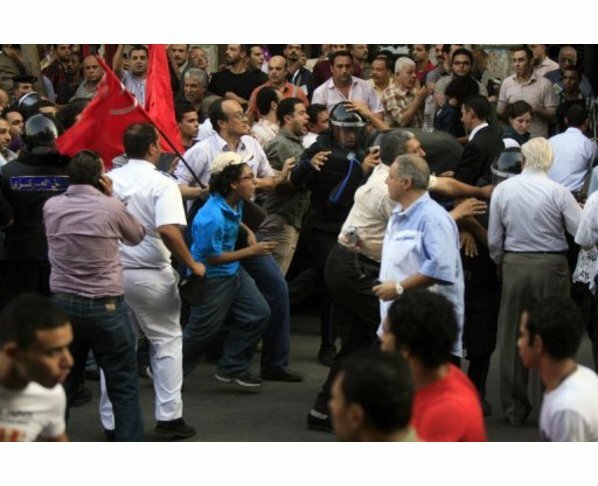 Already Trotskyists and communist forces around the world are rallying in support of the Egyptian revolution. Egypt will not be the end of this. Look for increased violence and unrest not just trough the Arab world, but also in Greece, Spain and in France.